Now at the halfway mark for 2018, June brought a slightly less active month than May but included the second closing of the year at over $10 million helping to further establish the 30A Beaches as an elite luxury market. (read more about the marketing and sale of one of these extraordinary properties HERE). WaterColor remains the leader in single family home sales with 11 community sales this month. Berkshire Hathaway HomeServices Beach Properties of Florida continues to lead the 30A Beaches market, recording the highest total sales volume at $38.85 million and number of residential transaction sides with 37 sides. 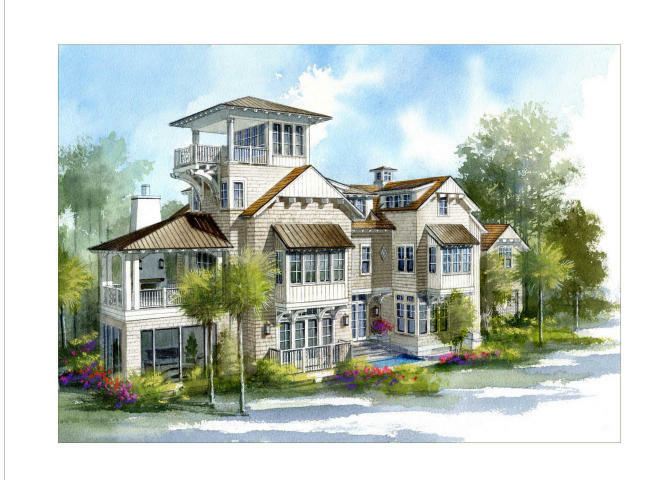 Beach Properties of Florida also closed the highest sale of the year in the WaterSound Beach community during June with a new construction home in the Crescent Keel district closing at $5.75 million. In addition, the new KAIYA Beach Resort experienced record sales with the initial offering of residences selling out in the same day. *Market data for 6/1/18 to 6/30/18 as of 7/9/18. Information reported is deemed reliable but is not guaranteed. © 2018 MLS and FBS.